EzyDog’s collars are well known for comfort and control, but the Double Up Collar also offers superior strength and flex. EzyDog has effectively found a way to double up on the strength and take the pressure off the easy access buckle. 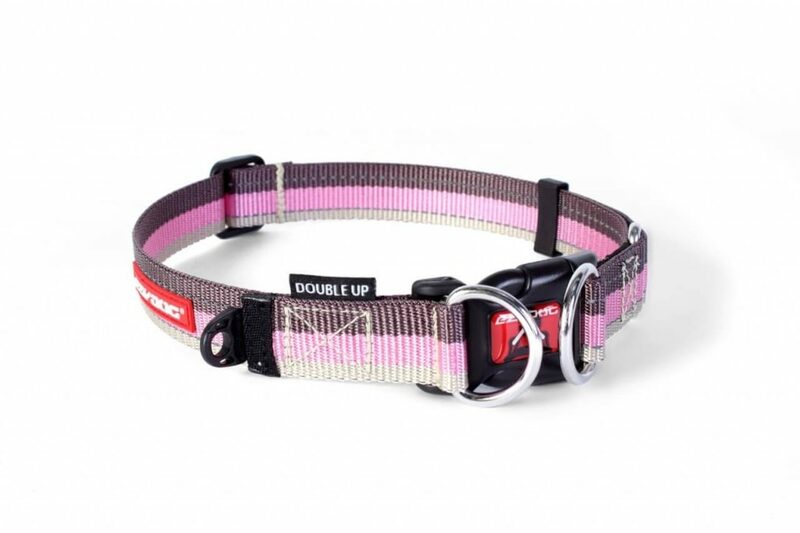 This collar is built with the highest quality materials and incorporates two stainless steel D-rings, and even has reflective stitching for night time safety. All EzyDog Products are designed to help both owners and pets get more out of the great outdoors. You can get more revenue out of your site by joining the EzyDog Affiliate program in LinkShare or AvantLink network and earn a 9% commission on all sales. Easily grab the high converting banners (hint – the awesome dogs we use as models help CTR) and place on your site. The EzyDog.com affiliate program is launched in AvantLink and LinkShare and Versa Marketing Inc. has a dedicated account manager to facilitate all of your needs. .com offers a wide range of high quality products and sizes for all dogs. Get outdoors and enjoy the nice weather with your dog and join the affiliate program today.